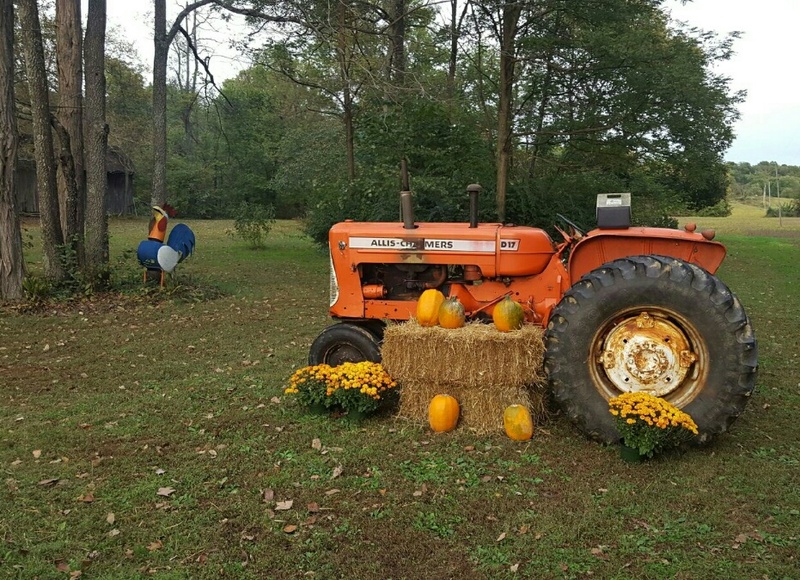 Fall decorations on the farm. My husband’s old 1952 Allis-Chalmers tractor all gussied up for the studio sale this weekend. He even washed it! And this was his idea entirely. I recently posted about all the arts activities I have going on lately so this is just a quick update. My solo show at Oakland City University closed last Friday. It was extended two more weeks which was fine with me. We picked it up on Saturday. Will Read and Sing for Food event. I expected about 15 people to show up on a Thursday night but they had about 60 people there! Last week I was asked to exhibit some of my work at a Will Read and Sing for Food event. This is a local group of volunteers who raise money for worthy causes and organizations. This time they raised $650 for Mentors For Youth. 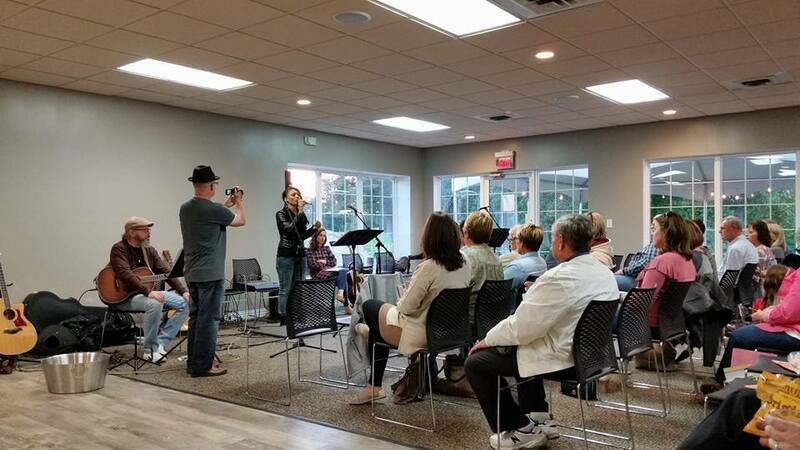 Singers, musicians, poets, and writers all donate their time and talent to the community. How neat is that?! 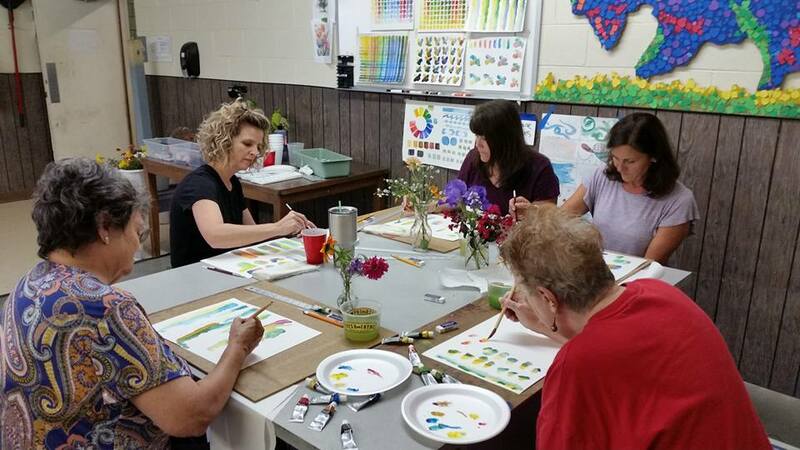 Flower painting class. Students practicing making shades of green. Much more difficult than they thought. Then I wrapped up my flower painting class on Monday this week. I think everyone enjoyed it. I haven’t taught a class for a long time so it was good to try that again. And now I’m working hard to prepare for my Open Studio Sale this weekend. This consists of inviting people out to my studio for a couple of fun days of art, food and friends. I haven’t had a sale for four years and, boy, do I have a lot of work!. Some of the paintings are at fire-sale prices. In addition to cleaning out the studio and setting up the displays and artwork, my husband and I feed everyone. Homemade minestrone soup, homemade herbed breadsticks, biscotti and other refreshments, including some adult beverages. So, next week I’ll need a rest, for sure. And to get back to painting. The 90 degree temps are gone, the fall colors are out, and it’s a beautiful time of year to get outside. This entry was posted in art and tagged art, country living, flowers, kit miracle, painting instruction, pen and ink, watercolor. Bookmark the permalink.